China’s ambitious Belt and Road Initiative could introduce alien invasive species into several countries, threatening their native biodiversity, warns a new study.Researchers looked at the risk of invasion of more than 800 alien invasive vertebrate species and found that there were 14 invasion hotspots — areas that have both high introduction risk with the movement of people and goods, and conditions that would allow the invasive species to thrive.These hotspots include areas in North Africa, South Asia and Southeast Asia.Other researchers say the study doesn’t include many other kinds of invaders, such as insects and pathogens, which can have major financial impacts on ecosystems, agriculture and livestock. Announced by Chinese President Xi Jinping in 2013, the Belt and Road Initiative (BRI), also known as “One Belt One Road” and “21st-century Maritime Silk Road,” proposes to connect China to countries in Asia, Africa and Europe via a network of land- and sea-based routes, making trade between the countries easier. 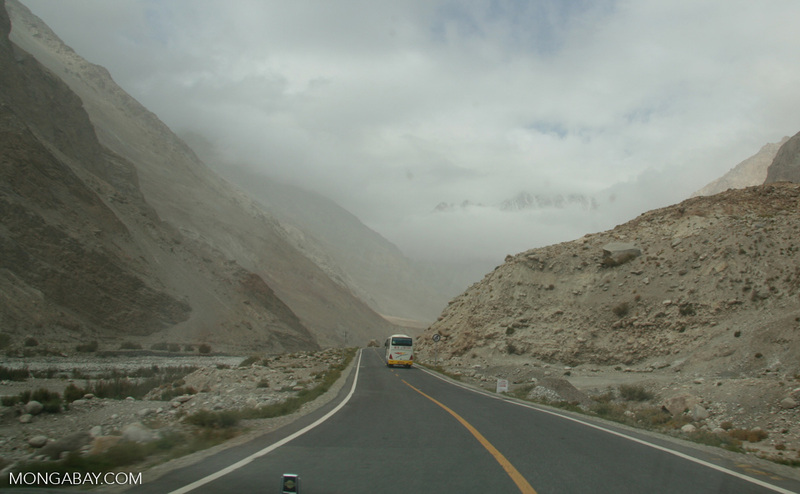 There are plans for an overland economic belt of six corridors, which will include infrastructure like roads, railroads, airports and gas pipelines, connecting China to Central and South Asia and Europe. 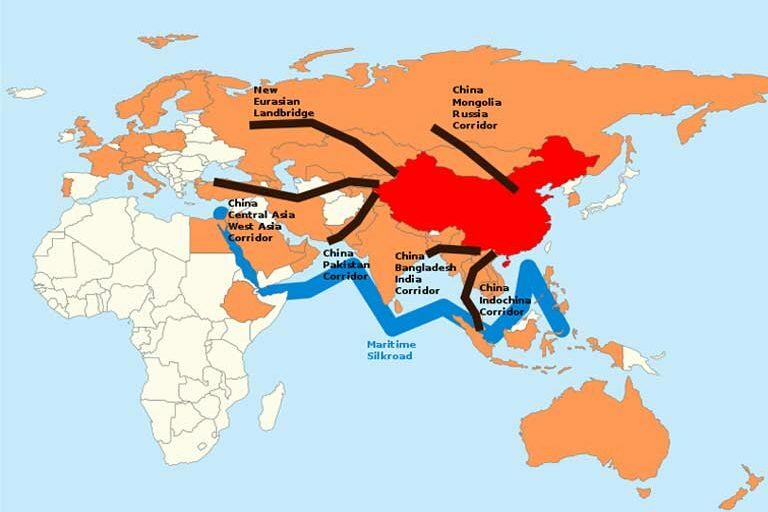 There’s also the Maritime Silk Road, or sea route corridors that aim to connect China with Southeast Asia, Oceania and North Africa through a chain of seaports. The Belt and Road Initiative will link China with once remote areas of Asia via roads, railways and ports. Image by Rhett A. Butler/Mongabay. While increased connectivity through mega infrastructure projects like the BRI can offer opportunities for trade and growth for the participating countries, it can have huge environmental costs too. Conservationists have, for instance, voiced their concern over the BRI potentially accelerating the invasion of alien species and the loss of native biodiversity. To find out where alien species can easily move in, Yiming Li, an ecologist at the Chinese Academy of Sciences, and his colleagues looked at the risk of invasion of more than 800 invasive species, including 98 amphibians, 177 reptiles, 391 birds and 150 mammals, across 121 countries that China considers to be potential hosts for BRI projects. For these species, the team assessed two things: the “introduction risk,” or the likelihood that a species would be introduced to a new area, and “habitat suitability,” or the likelihood that the species, once introduced, would thrive in that location because of suitable habitat. The study did not evaluate the impacts that the BRI itself would have on invasion risks, Li told Mongabay. Rather, it identified areas within BRI countries that have high invasion risk. This, Li said, would help achieve the green development goal of BRI’s sustainable development. Li’s team identified 14 invasion hotspots — areas that have both high introduction risk with the movement of people and goods, and conditions that would allow the invasive species to thrive — mostly located on the six proposed economic corridors. These hotspots include areas in North Africa, South Asia and Southeast Asia, the researchers report in the study published in Current Biology. China’s Belt and Road Initiative showing China in Red, the members of the Asian Infrastructure Investment Bank in orange, and the six proposed corridors of the Silk Road Economic Belt, a land transportation route running from China to southern Europe via Central Asia and the Middle East, and the 21st Century Maritime Silk Road, a sea route connecting the port of Shanghai to Venice, Italy, via India and Africa. Image by Lommes via Wikimedia Commons (CC BY-SA 4.0). In just Indonesia, for instance, the study found that there could be suitable habitats for more than 300 alien vertebrate species, including the American bullfrog (Lithobates catesbeianus or Rana catesbeiana), an amphibian native to North America that has been linked to outbreaks of the deadly chytrid fungus leading to declines in frog populations in Central America and elsewhere. Similarly, Malaysia offers suitable habitat for nearly 200 invasive species. The large number of invasive vertebrate species that could plague countries hosting Belt and Road projects is “startling,” William Laurance, a distinguished research professor at James Cook University in Australia, who was not involved in the study, told Mongabay. “Of course, this doesn’t include many other kinds of invaders, such as insects and pathogens, which can have major impacts on ecosystems, agriculture and livestock,” he said. To reduce invasion risk, Li and his colleagues say there needs to be stricter surveillance of goods and commodities that move through the roads, airports, seaports and other transportation corridors. In countries that have limited resources, they also suggest establishing a special fund that would support the operation of biosecurity measures, such as increased research into preventing invasion of alien species as well as eradication techniques, and training people to identify problematic species. 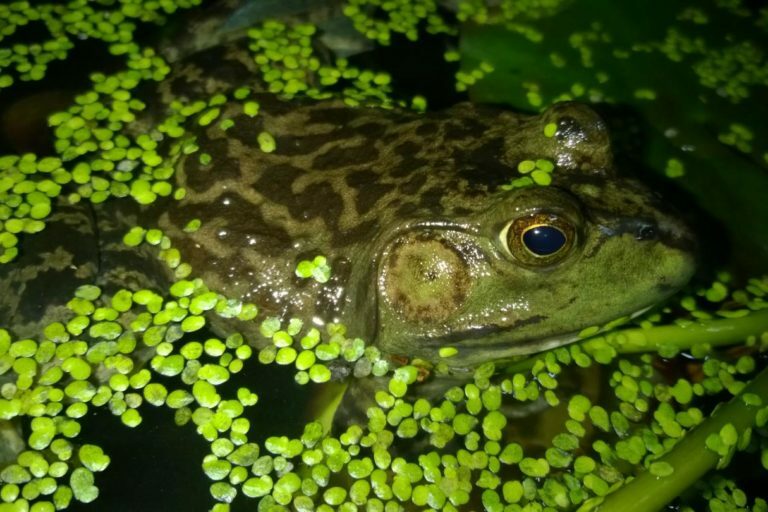 The American bullfrog (Lithobates catesbeianus), an amphibian native to North America, is a damaging invasive species known to have spread the deadly chytrid fungus leading to the decline of frog populations elsewhere. Image by Yiming Li. Banner image of a logging road in Malaysian Borneo by Rhett A. Butler/Mongabay.